Al Lamb’s Dallas Honda - 2016 model! New styles and colors! Imagine riding your adventure motorcycle around the gentle curves of the road, focused solely on the joy of the ride. Without distractions or pauses in acceleration, you can enjoy the experience around you and move seamlessly through gears, while shifting quicker than you thought possible. Meet the truly versatile NC700X DCT – available with the latest generation of Honda’s automatic Dual Clutch Transmission (DCT). The smooth-shifting DCT version changes gears with the push of a button – or riders can select the automatic mode and the NC700X DCT will shift itself. Because of the two clutches, power is distributed to the rear wheel without a break, offering a quick and smooth ride with virtually no slipping of the tire. 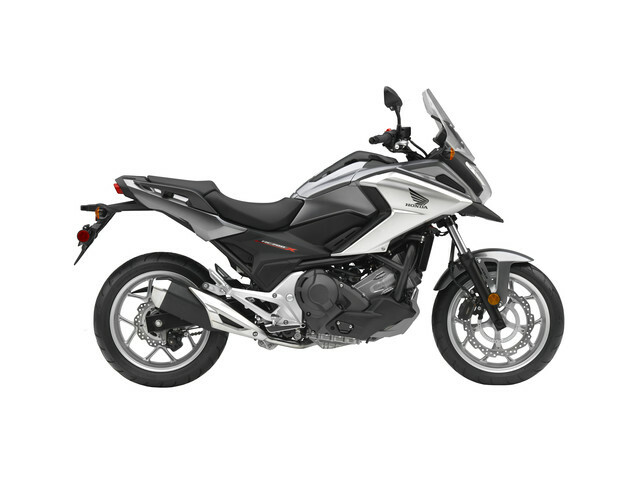 With Honda’s revolutionary Combined ABS anti-lock feature and linked front and rear disc brakes, this touring motorcycle offers great stopping power, especially under challenging conditions. And it will save you money at the gas pump too – the NC700X Dual Clutch Transmission gets an estimated 64 MPG. Maybe best of all, since it’s a Honda, you know that wherever you ride, the NC700X DCT is going to run perfectly, and it will run that way for years to come. Miles Per Gallon - 64 MPG - Honda's fuel economy estimates are based on EPA exhaust emission measurement test procedures and are intended for comparison purposes only.